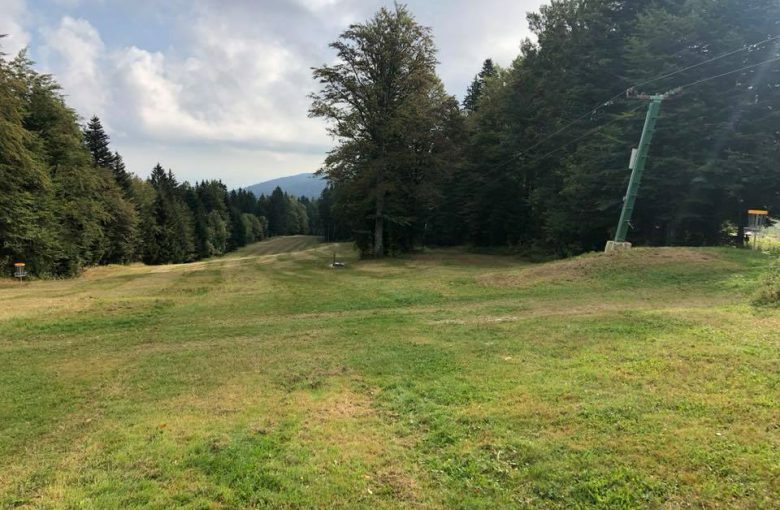 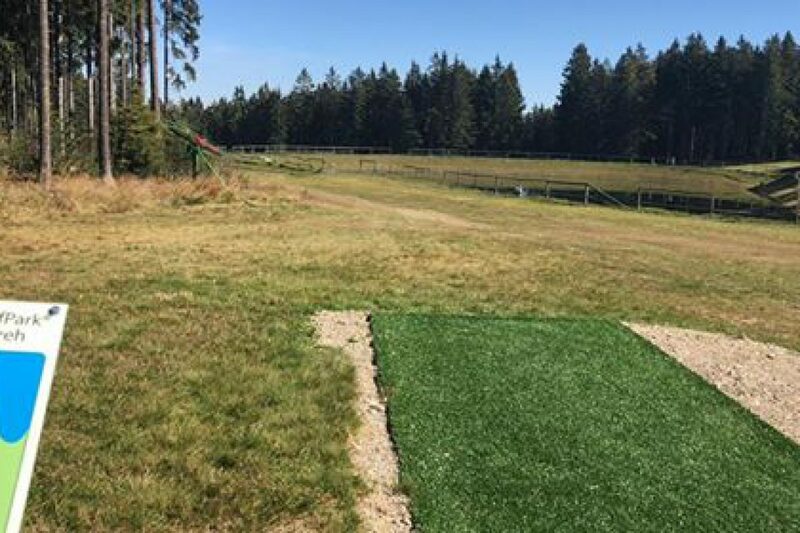 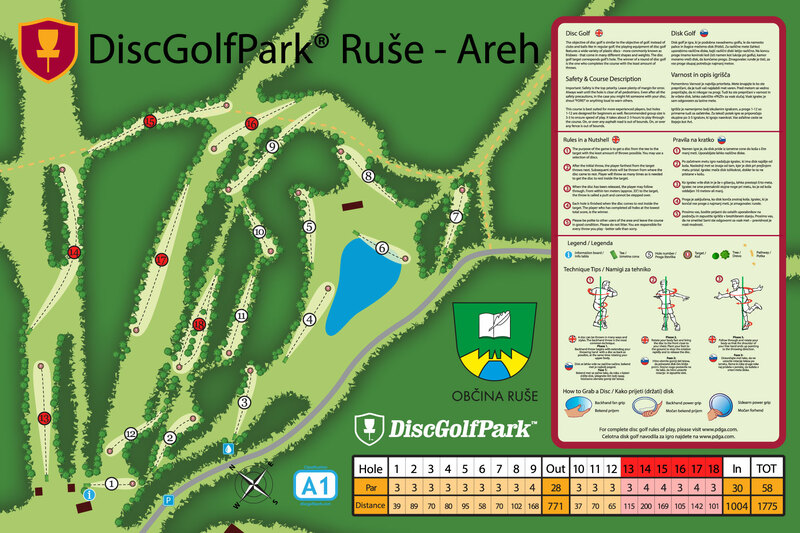 Ruse Areh DiscGolfPark is a ski slope stile disc golf 18 holes course on Pohorje in Slovenia. 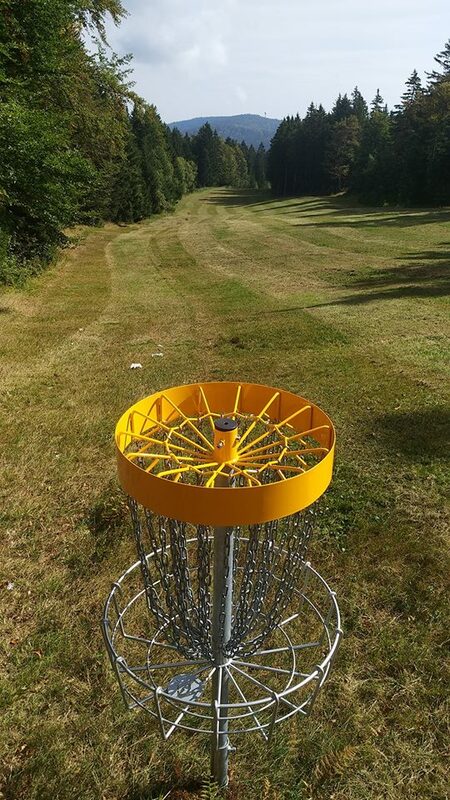 The course offers a wide variety of different Disc Golf skills. 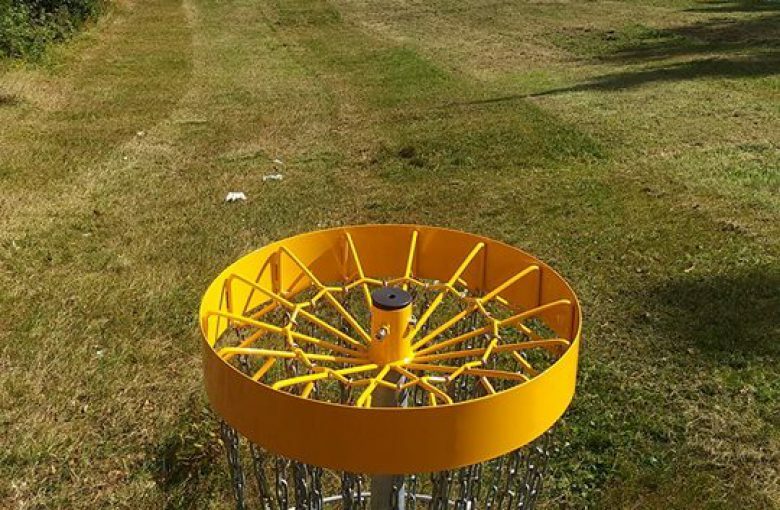 Its first 12 holes are beginner friendly and do progressively get harder, last 6 holes are intermediate to advanced holes. The whole course offers loads of fun to the beginners as to advanced players. 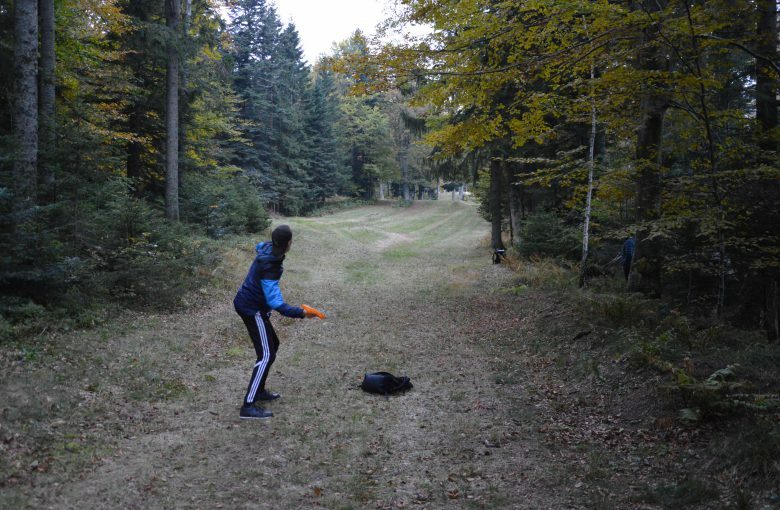 The best approach is from Maribor since the only tarmac road comes from there. 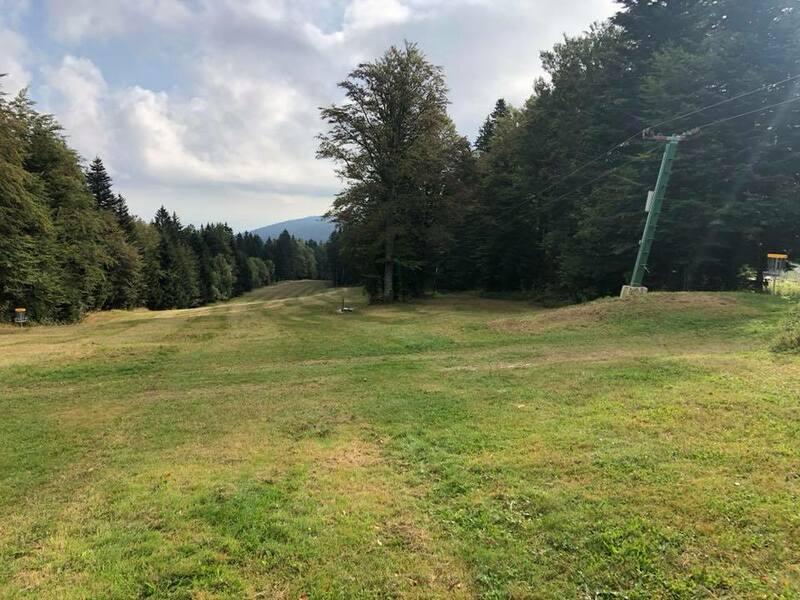 The cottage “Ruska koča” is above the course and is opened all season long, lodge “Ski bike bajta” is right at the tee #1 and #13 and is opened most of the summer weekends.